I’m pretty sure Thor’s blood is made entirely of mead. Let’s hope Johnson can sober up. This weekend (June 5-8) I’ll be at Phoenix Comicon with Christian Beranek, at Table #2037. You should be there to visit because it will be awesome! Again, June 5th through 8th, Phoenix Convention Center in downtown. It will be awesome! Better than trying to out-drink Loki. 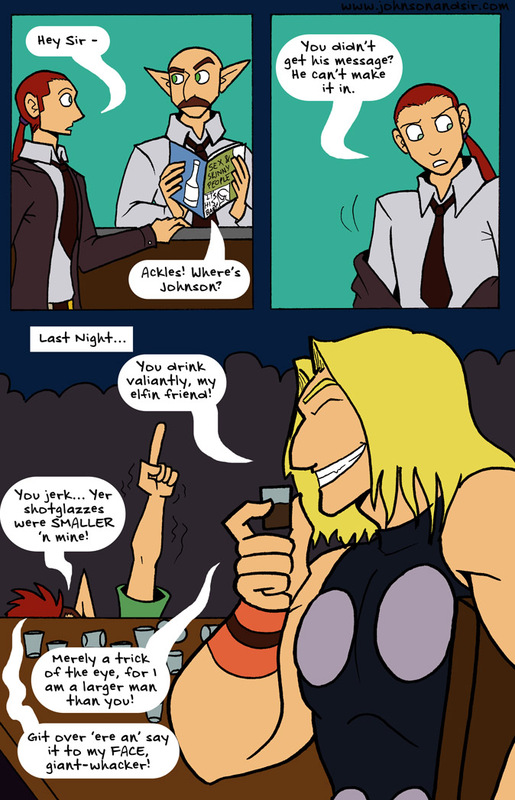 Loki would find a way to cheat.